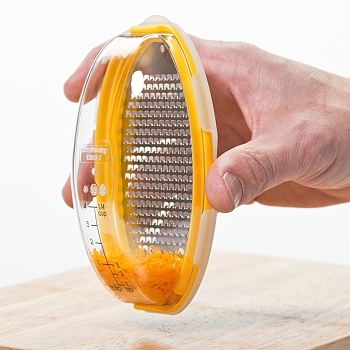 The Grater Pod is a kitchen gadget designed to fit your kitchen needs at a great value! 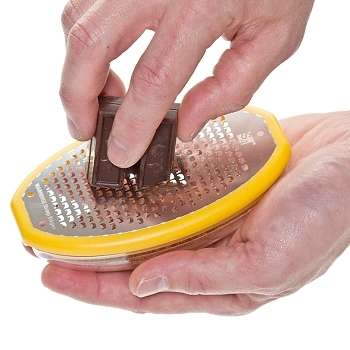 Perfect for lemon, limes, oranges, chocolate, ginger, garlic and parmesan. 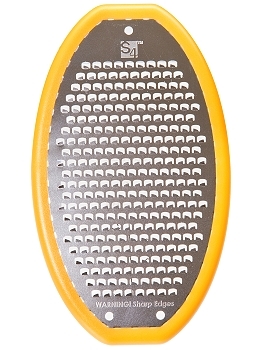 The blades are created by a unique etching process, not punched through metal. These extra-fine "razor-sharp" edges are engineered to gently shave through ingredients. 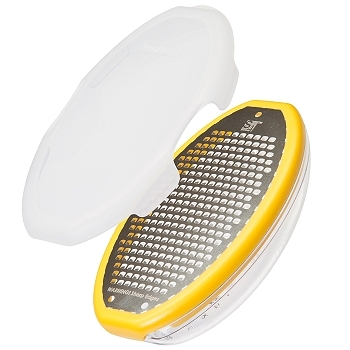 • Extra sharp etched surface for quick and easy grating or zesting. 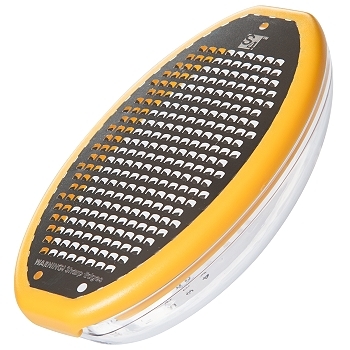 • Unique angled blades cause food to move straight down the grater for more efficient grating or zesting. 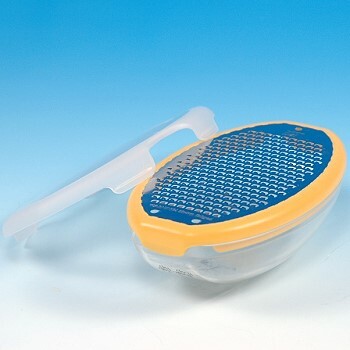 • Grate or zest directly into the clear container with printed measurements. • Fits firmly in your hand. 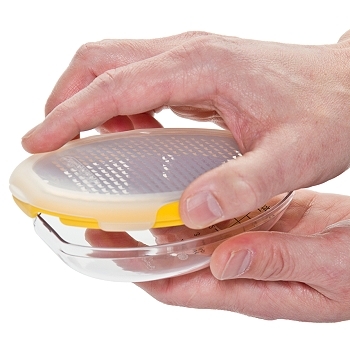 • Snap on cover for safety and convenient storage.